From the moment I heard about Dinner in White I knew I had to be part of it. Who doesn’t want to attend a random party, location TBD, where everyone is dressed in white clothing? I can’t miss out on that! Then I went to my closet and realized that the only white clothing I own are a couple of white oxford shirts that I wear to fancy events and church. Hmm, where to find a complete white ensemble, this might be tricky. For the ladies this isn’t such a difficult task, but when was the last time you ran across a dude in all white? 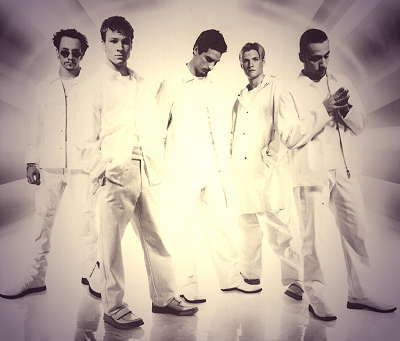 The images that come to mind are comprised of 4 or 5 guys all dressed in white, singing some cheesy love song! How am I going to make this white outfit hip? I went to the internet and found that both Kayne West and Brad Pitt have pulled off a head-to-toe white outfit so there is hope. I hit a couple of the local thrift stores but was unsuccessful. I thought for sure the D.I. would have a nice polyester white jacket with matching pants but I was out of luck. No need to worry though gentleman. Here are some places you can pick up the needed pants to complete your all white outfit. Can’t wait to see you there.